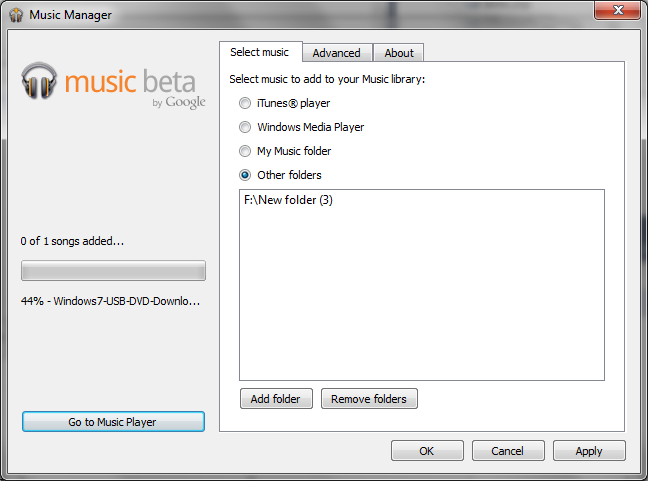 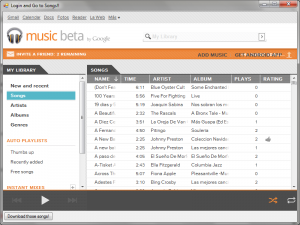 Google Music is a new service from Google that allows you to store your music on the cloud and listen to them wherever you want 🙂 However, there is no option available at this time to download the songs you’ve previously uploaded. 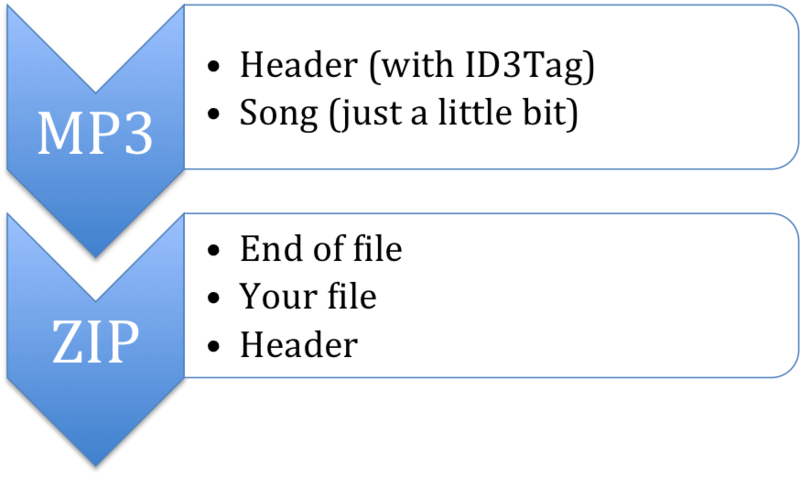 Songs will be stored on the same directory under the name “<Artist> – <Title>.mp3” where artist and title are the real title and artist of the song. 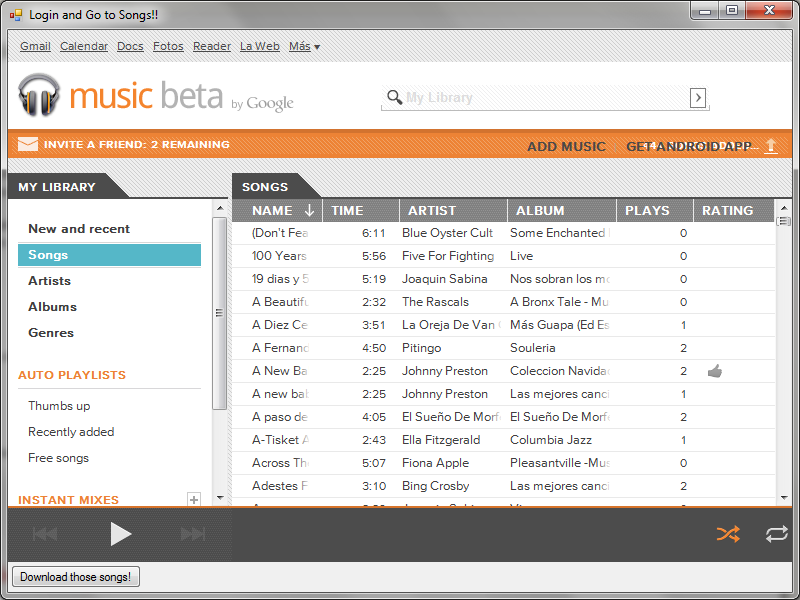 This entry was posted in Tools and tagged download, google, music, songs on August 4, 2011 by Carballude.